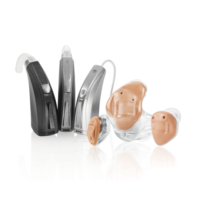 The Starkey Halo IQ hearing aids are specifically designed to connect with your devices and are Made for iPhone. 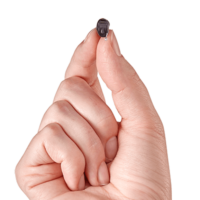 This means that using Starkey’s TruLink 2.4 GHz technology, they can directly link with your iPhone, Tablet, Apple watch and certain Android devices. 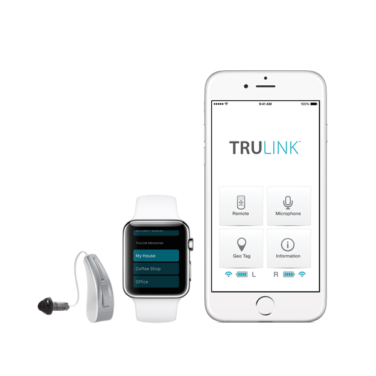 Starkey has recently released the new TruLink 3.0 application for your phone, giving you control over your hearing aids from your device. 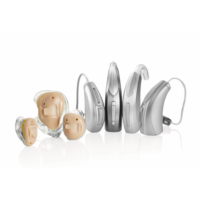 Starkey claims that the Synergy platform has over 5 times more processing power than previous generations which means that that you can experience speech and music they way it was meant to be heard. The Halo IQ is based on the Synergy platform which provides Acutity Immersion for a more natural listening experience and better understanding of speech in noise. There are 16 channels in the i1600 up to 24 chanels in the i2400. The more advanced technology levels are also better in complex listening environments as well as have more automatic adjustments for ease of use.